The New York Times. Technology. SUNNYVALE, Calif. — For more than a decade, Silicon Valley’s technology investors and entrepreneurs obsessed over social media and mobile apps that helped people do things like find new friends, fetch a ride home or crowdsource a review of a product or a movie. Now Silicon Valley has found its next shiny new thing. And it does not have a “Like” button. The new era in Silicon Valley centers on artificial intelligence and robots, a transformation that many believe will have a payoff on the scale of the personal computing industry or the commercial internet, two previous generations that spread computing globally. Computers have begun to speak, listen and see, as well as sprout legs, wings and wheels to move unfettered in the world. The shift was evident in a Lowe’s home improvement store here this month, when a prototype inventory checker developed by Bossa Nova Robotics silently glided through the aisles using computer vision to automatically perform a task that humans have done manually for centuries. Silicon Valley’s financiers and entrepreneurs are digging into artificial intelligence with remarkable exuberance. The region now has at least 19 companies designing self-driving cars and trucks, up from a handful five years ago. There are also more than a half-dozen types of mobile robots, including robotic bellhops and aerial drones, being commercialized. “We saw a slow trickle in investments in robotics, and suddenly, boom — there seem to be a dozen companies securing large investment rounds focusing on specific robotic niches,” said Martin Hitch, chief executive of Bossa Nova, which has a base in San Francisco. Funding in A.I. start-ups has increased more than fourfold to $681 million in 2015, from $145 million in 2011, according to the market research firm CB Insights. The firm estimates that new investments will reach $1.2 billion this year, up 76 percent from last year. By contrast, funding for social media start-ups peaked in 2011 before plunging. That year, venture capital firms made 66 social media deals and pumped in $2.4 billion. So far this year, there have been just 10 social media investments, totaling $6.9 million, according to CB Insights. Last month, the professional social networking site LinkedIn was sold to Microsoft for $26.2 billion, underscoring that social media has become a mature market sector. Even Silicon Valley’s biggest social media companies are now getting into artificial intelligence, as are other tech behemoths. Facebook is using A.I. to improve its products. Google will soon compete with Amazon’s Echo and Apple’s Siri, which are based on A.I., with a device that listens in the home, answers questions and places e-commerce orders. Satya Nadella, Microsoft’s chief executive, recently appeared at the Aspen Ideas Conference and called for a partnership between humans and artificial intelligence systems in which machines are designed to augment humans. The auto industry has also set up camp in the valley to learn how to make cars that can do the driving for you. Both technology and car companies are making claims that increasingly powerful sensors and A.I. software will enable cars to drive themselves with the push of a button as soon as the end of this decade — despite recent Tesla crashes that have raised the question of how quickly human drivers will be completely replaced by the technology. Silicon Valley’s new A.I. era underscores the region’s ability to opportunistically reinvent itself and quickly follow the latest tech trend. The change spurred a rush for talent in A.I. that has become intense. The valley’s tendency toward reinvention dates back to the region’s initial emergence from the ashes of a deep aerospace industry recession as a consumer-electronics manufacturing center producing memory chips, video games and digital watches in the mid-1970s. A malaise in the personal computing market in the early 1990s was followed by the World Wide Web and the global expansion of the consumer internet. A decade later, in 2007, just as innovation in mobile phones seemed to be on the verge of moving away from Silicon Valley to Europe and Asia, Apple introduced the first iPhone, resetting the mobile communications marketplace and ensuring that the valley would — for at least another generation — remain the world’s innovation center. In the most recent shift, the A.I. idea emerged first in Canada in the work of cognitive scientists and computer scientists like Geoffrey Hinton, Yoshua Bengio and Yann LeCun during the previous decade. The three helped pioneer a new approach to deep learning, a machine learning method that is highly effective for pattern recognition challenges like vision and speech. Modeled on a general understanding of how the human brain works, it has helped technologists make rapid progress in a wide range of A.I. fields. How far the A.I. boom will go is hotly debated. For some technologists, today’s technical advances are laying the groundwork for truly brilliant machines that will soon have human-level intelligence. “There is no chance of a new winter,” said Shivon Zilis, an investor at Bloomberg Beta who specializes in machine intelligence start-ups. John Shoch, a veteran venture capitalist at Alloy Ventures in Palo Alto, Calif., said deep learning has made a difference to the potential success of A.I. companies. “You get a new set of tools that let you attack a new set of problems, which let you push the boundary out,” he said. For others, like Jerry Kaplan, who helped found two A.I. companies in the 1980s — Symantec, which became a security company, and Teknowledge, which ultimately shut down — the Valley’s new enthusiasm is troubling because it suggests an unfounded optimism similar to earlier eras in which the field overpromised and underdelivered. “Sometimes when I hang around with A.I. enthusiasts here in the valley, I feel like an atheist at a convention of evangelicals,” he said. Can India drive global growth? When Prime Minister Narendra Modi was elected with a mandate to revive the Indian economy, he brought upon himself and his colleagues in government a burden of expectation not only to fellow Indians but also to many in the international community. The world’s most populous democracy, it was thought by many, could be doing more to live up to its enormous economic potential, and was losing out on an historic opportunity to emerge once again as a major global economic power player. It is too soon, of course, to offer a critical evaluation of Mr Modi’s record in addressing the challenge he has set himself. However, accomplishments in his first year in office suggest a turnaround, at least through the lens of economic competitiveness. In this year’s World Economic Forum’s Global Competitiveness Report, which sets out every year to assess the long-term economic prospects of over 140 countries, India comprehensively turns around five years of decline. Climbing a total of 16 places in one year to 55th worldwide, India’s performance is one of the strongest seen anywhere in the world. This ascendance up the ranks arrests a decline that began back in 2008, when the economy was growing at a healthy 8.5% rather than the 5% rate of recent years. The country’s competitiveness, along with its economic growth, had been declining since, with last year representing a nadir as India ranked 71st. Twelve months ago, the index highlighted infrastructure and the country’s institutions as particularly problematic areas (they ranked 70th and 87th respectively). Yet the past year has witnessed solid signs of progress in both these areas, with its institutions climbing ten places year-on-year to 60th, and infrastructure moving up by six to 81st. There has also been seen a considerable improvement in the state of the country’s macroeconomic environment over the past twelve months. In the last edition of the index, this fundamental driver of competitiveness was certainly acting as a brake in India, with the Global Competitiveness Report ranking the country 101st and singling out regular government deficits, a narrow tax base and double-digit inflation as particular causes for concern. This year, we see India climb ten places: this is a solid indicator of progress given the complexity involved in bringing about long-term structural improvements to government finances in any country, let alone one of India’s size. What has been involved in India’s resurgence in competitiveness? As you may expect with a benchmark that takes into account well over a hundred individual indicators as well as the opinions of the country’s top executives, it is impossible to pinpoint one single act. Rather, and encouragingly, India’s rise can be put down to small yet significant – and hopefully sustainable – reforms across a number of key areas. These reforms are also beginning to bear fruit: improving infrastructure means removing a key bottleneck to growth and investment and allowing key areas of the economy – farming and manufacturing, for example – to become more productive. Improved public finances make it easier for the government to invest in areas that will deliver the best returns: education, for instance, where much work still needs to be done, even now that the considerable target of universal education has been reached, or tax incentives for entrepreneurs and wealth creators. Perhaps most importantly, however, such momentum will give India’s leaders the encouragement to stay the course and keep to a path of long-term structural reform. Further improvements can and should be made in steadying the macroeconomic environment, in particular the budget deficit. India is also being helped by low energy prices that contribute to lower inflation and improve the current account budget and national savings. Investment is critically needed in upgrading the country’s electricity infrastructure, an area in which India has traditionally lagged behind its peers in the emerging world. Education, too, remains a critical area of attention, with the country currently ranking 90th for higher education and training, in order to develop the right talent to ready India’s business for the new technological revolution the global economy is undergoing. India’s greatest asset by far, its people, have already demonstrated an aptitude for successful global competitiveness by building world-leading companies. With the broad-based fundamental conditions for national competitiveness now falling into place, they could soon be joined by a new generation. Author: Philipp Rösler is Head of the Centre for Regional Strategies and Member of the Managing Board at the World Economic Forum. See the original news here: Can India drive global growth? A ningú escapa que estem immersos en un període d’incertesa política, econòmica i social, tant en els àmbits més propers com en el entorn internacional. Com sempre ens en sortirem, no hi ha altra opció. Voldria fer una especial menció avui a la darrera edició del Breakfast 22@Network del mes, on es van tractar les exportacions i processos d’implantació al continent llatinoamericà, al Perú i Colòmbia. Les estratègies i consignes que ens van donar els experts de Barcelona Plataforma Empresarial van anar més enllà dels habituals “tips” que sentim quan ens parlen d’exportació. Es va recalcar la importància d’oferir un producte o un servei diferencial amb un alt valor afegit i que sigui competitiu allà on vulguem implantar-nos. Aquesta condició no és tan òbvia com pot semblar a primera vista. La validació, la millora i el desenvolupament del nostre projecte empresarial sempre arribarà més lluny amb més companys de viatge. D’aquí la importància de la xarxa, de “la network”. Una mostra d’aquesta necessitat la vam corroborar al dinar-col·loqui l’Àgora@22network del mes que va estar dedicat a la IoT (la internet de les coses). En una inspiradora sessió, el ponent Marc Pous ens va seduir a tots explicant-nos la seva visió i els seus disruptius projectes. Sempre amb una claríssima vocació i aposta per la internacionalització. Des de l’Associació apostem per ser fidels als nostres valors, seguir teixint les aliances necessàries créixer aquí i arreu, ser constants en el treball i fer del nostre districte un lloc on valgui la pena treballar pel present i pel futur, aquí i al món. Las 10 economías más competitivas de América Latina y el mundo. Las 10 economías más competitivas de América Latina y del mundo. El final del ciclo de los altos precios de los productos básicos ha afectado gravemente a América Latina y el Caribe, y ya tiene consecuencias en el crecimiento de la región. Para lograr una mayor resiliencia contra futuras crisis económicas serán necesarias reformas e inversiones en infraestructuras, competencias e innovación. Chile (35º puesto) sigue encabezando la clasificación regional, seguido de cerca por Panamá (50º) y Costa Rica (52º). Dos grandes economías de la región, Colombia y México, avanzan hasta alcanzar los puestos 61º y 57º, respectivamente. Brasil continúa su tendencia bajista y cae hasta el puesto 75º, como consecuencia del deterioro de los resultados macroeconómicos y una baja valoración de las instituciones. Desde una óptica más general, la falta de reformas estructurales a largo plazo para impulsar la productividad y liberar el talento emprendedor está dañando la capacidad de la economía mundial para elevar los niveles de vida, resolver la persistencia del alto desempleo y generar una resiliencia adecuada contra futuras recesiones económicas de acuerdo con The Global Competitiveness Report 2015-2016, publicado hoy. El informe es una evaluación anual de los factores que impulsan la productividad y la prosperidad en más de 140 países. La edición de este año descubrió una correlación entre los países altamente competitivos y aquellos que han resistido la crisis económica mundial o se han recuperado rápidamente de ella. La falta de mejora de la competitividad desde la recesión, en particular en los mercados emergentes, señala que las crisis futuras de la economía mundial podrían tener consecuencias profundas y prolongadas. El informe del Índice Global de Competitividad (IGC) señala igualmente que existe un estrecho vínculo entre la competitividad y la capacidad de una economía para generar, atraer, aprovechar y apoyar el talento. Los países que ocupan los primeros lugares del índice obtienen buenos resultados en este aspecto. Pero en muchos países son muy pocos los que tienen acceso a una educación y capacitación de alta calidad, y los mercados laborales tienen una flexibilidad insuficiente. Suiza ocupa el primer puesto de la clasificación del IGC por séptimo año consecutivo. Sus excelentes resultados en los 12 pilares del índice explican su extraordinaria resiliencia a las crisis y sus consecuencias. Singapur conserva el segundo puesto y los Estados Unidos el tercero. Alemania sube un puesto y ocupa el cuarto lugar y los Países Bajos vuelven al quinto puesto que detentaban hace tres años. Les siguen Japón (6º) y la RAE de Hong Kong (7º), que mantienen su posición. Finlandia cae al 8º puesto, su peor posición hasta ahora, seguido de Suecia (9º). El Reino Unido completa la lista de las diez economías más competitivas del mundo. En Europa, España, Italia, Portugal y Francia hicieron avances significativos en la mejora de la competitividad. Gracias a los paquetes de reformas para mejorar el funcionamiento de los mercados, España e Italia suben dos y seis puestos, respectivamente. Las mejoras similares en los mercados laboral y de productos en Francia (22º) y Portugal (38º) no pudieron compensar el deterioro sufrido en otros ámbitos. Este año, Grecia sigue ocupando el puesto 81º, según los datos recopilados antes del rescate del mes de junio. El acceso a la financiación sigue siendo una amenaza común para todas las economías y constituye el mayor impedimento de la región para atraer inversiones. En la mayoría de los mayores mercados emergentes, la tendencia es de declive o estancamiento. No obstante, hay aspectos positivos: La India ha puesto fin a cinco años de declive con un espectacular salto de 16 lugares para ocupar el puesto 55º. Sudáfrica vuelve a figurar entre los 50 primeros lugares, tras avanzar 7 y situarse en el puesto 49º. En otros países, la inestabilidad macroeconómica y la pérdida de confianza en las instituciones públicas hicieron caer a Turquía (51º), así como a Brasil (75º), que registra uno de los mayores descensos. China se mantiene en el puesto 28º y sigue siendo por mucho la más competitiva de este grupo de economías. Sin embargo, el hecho de que no haya subido en la clasificación pone de manifiesto los retos a los que se enfrenta la transición de su economía. Entre las economías emergentes y en desarrollo de Asia, las tendencias de competitividad son por lo general positivas, a pesar de los numerosos retos y las profundas diferencias intrarregionales. Mientras que China y la mayoría de los países de Asia Sudoriental logran buenos resultados, los países de Asia Meridional y Mongolia (104º) siguen presentando retrasos. Los cinco mayores miembros de la Asociación de Naciones de Asia Sudoriental (ASEAN): Malasia 18º, sube dos puestos), Tailandia (32º, baja un puesto), Indonesia (37º, baja tres), Filipinas (47º, sube cinco) y Vietnam (56º, sube doce), se sitúan en la mitad superior de la clasificación del IGC. En Oriente Medio y África del Norte, el panorama es menos definido. Qatar (14º) encabeza la región, por delante de los Emiratos Árabes Unidos (17º), aunque corre un mayor riesgo que sus vecinos debido a la persistencia de los bajos precios de la energía, debido a que su economía se encuentra menos diversificada. Estos buenos resultados contrastan claramente con los de los países del Norte de África, en los que el mejor puesto lo ocupa Marruecos (72º), y del Levante, encabezados por Jordania (64º). En vista de que los conflictos geopolíticos y el terrorismo amenazan con hacer aún más estragos, los países de la región deben concentrarse en la reforma del entorno empresarial y en fortalecer el sector privado. El África Subsahariana sigue creciendo a tasas cercanas al 5%, pero la competitividad y la productividad continúan siendo bajas. Los países de la región tendrán que trabajar en ello, sobre todo porque se enfrentan a la volatilidad de los precios de los productos básicos, un mayor escrutinio por parte de los inversores internacionales y el crecimiento demográfico. Mauricio sigue siendo la economía más competitiva de la región (46º), seguido de cerca por Sudáfrica (49º) y Rwanda (58º). Côte d’Ivoire (91º) y Etiopía (109º) sobresalen por ser los países de la región que más puestos suben. “La cuarta revolución industrial está facilitando la aparición de industrias y modelos económicos completamente nuevos y el rápido declive de otros. Para seguir siendo competitivo en este nuevo entorno económico será necesario hacer mayor hincapié que nunca antes en los principales factores que impulsan la productividad, como el talento y la innovación”, afirma Klaus Schwab, fundador y Presidente Ejecutivo del Foro Económico Mundial. “El lento incremento de la productividad, que se ha convertido en la norma, plantea una grave amenaza para la economía mundial y tiene graves efectos en la capacidad del mundo para hacer frente a los principales retos a los que se enfrenta, como el desempleo y la desigualdad de ingresos. La mejor manera de hacer frente a este fenómeno consiste en que los dirigentes den prioridad a las reformas y la inversión en ámbitos como la innovación y el mercado laboral, pues con ello se liberará el talento emprendedor y florecerá el capital humano”, señala Xavier Sala-i-Martin, profesor de economía de la Universidad de Columbia. Publicado por Oliver Cann – 08:55Todas las opiniones expresadas son las del autor. El blog del Foro Económico Mundial es una plataforma independiente y neutral dedicada a generar debate en torno a los temas clave que dan forma a las agendas globales, regionales e industriales. “L’aposta per la internacionalització ha de ser racional i planificada de forma estratègica”, Jordi Hereu, President de BPE Barcelona Plataforma Empresarial. El 22@Update Breakfast del mes d’octubre, celebrat a l’Auditori de GAES s’ha centrat en les “Estratègies d’internacionalització. El cas de Colòmbia i Perú”. 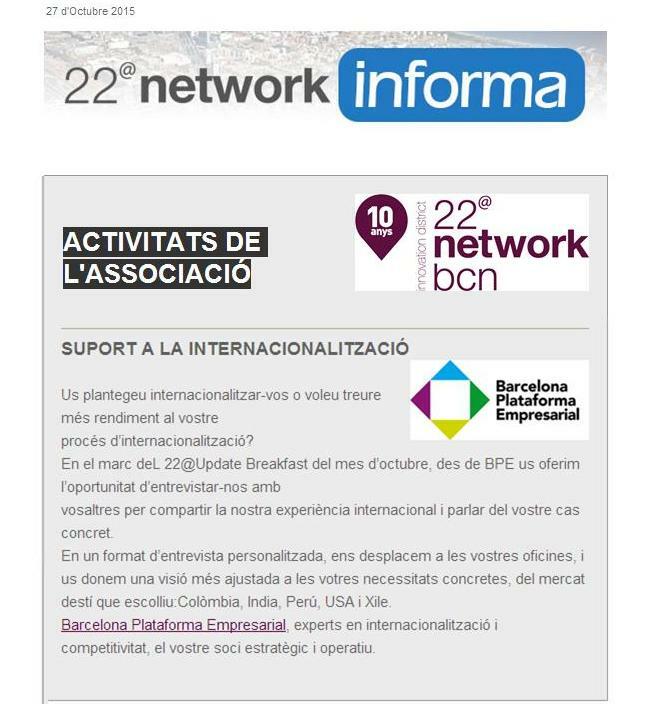 L’acte ha estat presidit per Ramon Salabert, president de l’Associació 22@Network bcn, i ha comptat amb la intervenció d’Antonio Gassó, CEO de Gaes, com a amfitrió i exemple d’empresa exportadora del districte 22@. 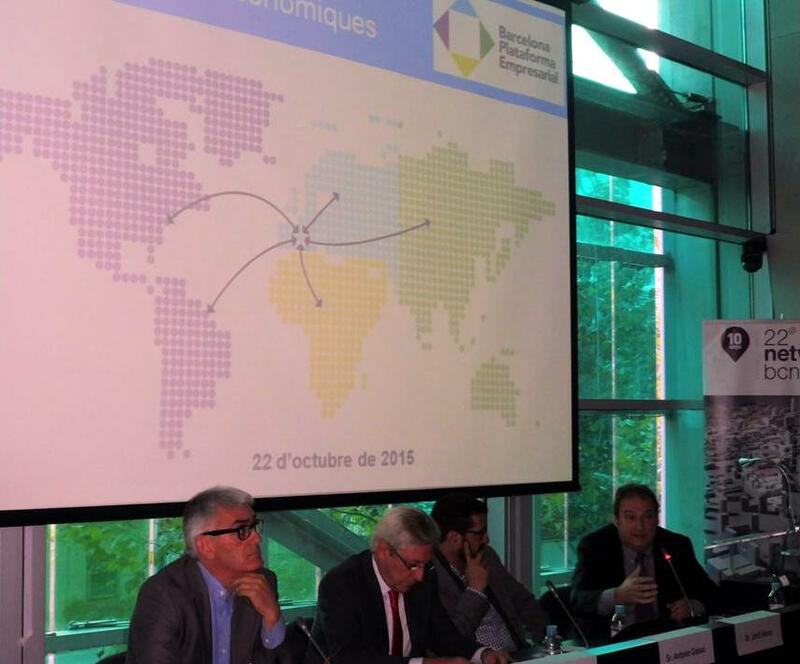 Durant la trobada s’han presentat les estratègies en internacionalització empresarial i les oportunitats de negoci i inversió a Perú i Colòmbia, així com les eines per abordar el procés d’internacionalització per aconseguir consolidar els projectes iniciats. L’update ha estat a càrrec de Jordi Hereu i Boher, alcalde de Barcelona al període 2006 – 2011 i actualment president de Barcelona Plataforma Empresarial, qui ha presentat la situació actual i les oportunitats a Colòmbia i Perú. Ha destacat la vinculació dels processos d’internacionalització amb la innovació empresarial i ha assenyalat que “l’aposta per la internacionalització ha de ser racional i planificada de forma estratègica”. Així mateix ha valorat “l’alt potencial de creixement econòmic de Colòmbia i Perú, lligat a la seva estabilitat econòmica, política i legal.”Dins l’apartat de l’innovador del mes, Jordi Bonet, director de Llatinoamèrica de Barcelona Plataforma Empresarial, ha presentat les claus per aconseguir consolidar els projectes en aquests països i ha explicat que “abans d’iniciar el procés d’internacionalització cal tenir en compte en compte que es disposa d’un servei o producte molt diferenciat i que pugui aportar un valor afegit”. Ha afegit que cal tenir present que els resultats no seran immediats i que“s’han de plantejar els processos d’internacionalització com a estratègies de creixement empresarial a llarg termini”. · La celebració el proper dijous 29 d’octubre del setè dinar col·loqui Àgora 22@Network bcn, que comptarà amb la ponència “La Internet de les coses. Tot connectat” a càrrec de Marc Pous, expert en l’interconnexió digital dels objectes digitals amb Internet. · La Inauguració del curs 2015/2016, amb la presentació de diferents comissions de treball de l’associació 22@Network bcn, El proper dimecres 28 d’octubre a Valkiria Hub Space. · La reunió, dins la ronda d’entrevistes amb els nous responsables municipals, amb Agustí Colom, Regidor d’Ocupació, Empresa i Turisme de l’Ajuntament de Barcelona, qui ha mostrat el seu interès per les activitats de dinamització de l’associació. · La benvinguda al districte 22@ a TIMTUL, start up que està treballant en la nova web de l’associació a partir del concepte de web social. · El vintè aniversari de la Universitat Oberta de Catalunya (UOC), amb seu al 22@. · L’inici properament de les obres al districte del primer campus a Europa de l’acadèmia internacional canadenca LaSalle – FD Moda. Finalment, Salabert ha celebrat l’anunci de la inauguració d’un centre tecnològic de Lenovo a Barcelona i ha expressat el seu desig que aquest anunci es materialitzi aviat i aterri al districte 22@. 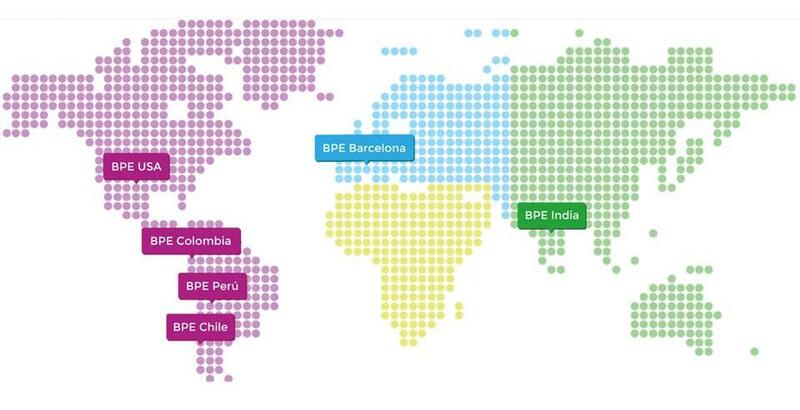 ¿Por qué asociarte con BPE, Barcelona Plataforma Empresarial? ¿Os planteáis internacionalizaros, o bien, necesitáis sacar más rendimiento de vuestro proceso de internacionalización? En Barcelona Plataforma Empresarial, os facilitamos vuestro aterrizaje en Colombia, Chile, Perú, India o USA. 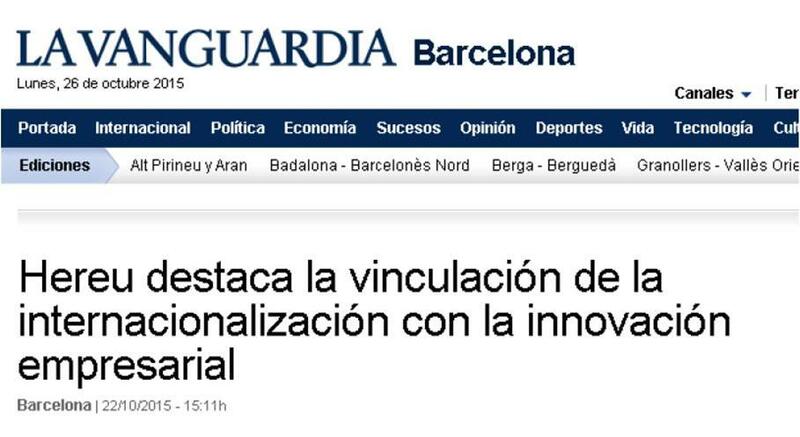 El exalcalde de Barcelona y presidente de Barcelona Plataforma Empresarial, Jordi Hereu, ha destacado este jueves la vinculación entre los procesos de internacionalización y la innovación empresarial, y ha defendido que “la apuesta por la internacionalización debe ser racional y planificada de forma estratégica”. 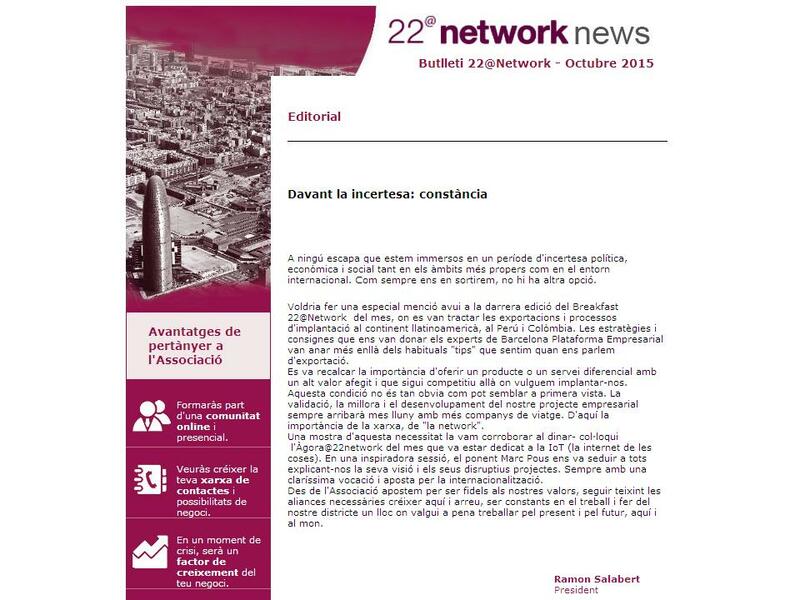 En un encuentro de la Associació 22@Network Bcn sobre estrategias de internacionalización empresarial, Hereu ha abordado las oportunidades en Colombia y en Perú, y ha señalado el “alto potencial de crecimiento económico” de ambos estados por su estabilidad económica, política y legal, ha informado la asociación en un comunicado. El director de Latinoamérica de Barcelona Plataforma Empresarial, Jordi Bonet, ha destacado que los procesos de internacionalización deben plantearse como estrategias a largo plazo, y ha avisado de que, “antes de iniciar la internacionalización, hay que tener en cuenta que se dispone de un servicio o producto muy diferenciado que pueda aportar valor añadido”. El presidente de la Associació 22@Network Bcn, Ramon Salabert, ha presidido el acto, celebrado en el Auditori Gaes, tras lo que ha celebrado que la empresa tecnológica china Lenovo prevea abrir un centro en la capital catalana, y ha esperado que se instale en el 22@. Ha señalado que la asociación se reunió con el concejal de Empleo, Empresa y Turismo de Barcelona, Agustí Colom, y ha asegurado que evidenció su interés por las actividades de dinamización que lleva a cabo la asociación. 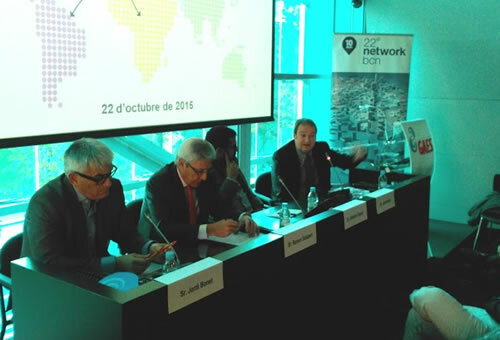 Jordi Hereu, presidente de BPE, en el encuentro de la Associació 22@Network Bcn sobre estrategias de internacionalización empresarial, el pasado 22/10/2015. El próximo jueves 22 de octubre, el equipo de BPE en el 22@Update Breakfast con: Estrategias de internacionalización. El caso de Colombia y Perú. ESTRATEGIAS DE INTERNACIONALIZACIÓN. EL CASO DE COLOMBIA Y PERÚ. El update irá a cargo de Jordi Hereu, alcalde de Barcelona en el período 2006 – 2011 y actualmente presidente de Barcelona Plataforma Empresarial, que nos hablará de la situación actual y las oportunidades en los dos países latinoamericanos. El Innovador del mes, Jordi Bonet, director de Latinoamérica de Barcelona Plataforma Empresarial nos explicará las claves para conseguir consolidar los proyectos en estos países.